For the first time in my life I truly enjoy working out and going to the gym. Over the last 6 months I cannot believe how much progress I have made. I am no where near my final goal, but I can proudly say I am the healthiest and strongest I have ever been in my life. It is so encouraging and motivating to see other people my age interested in being healthy and bettering themselves each day. Some of my friends are my biggest inspirations, and Bobby is SO helpful and is always pushing me :) I might hate him in that moment where he tells me to lift more, but I thank him later haha. I love to look at other people’s instagram for recipes or different workouts.. while doing so today, I decided to bake. 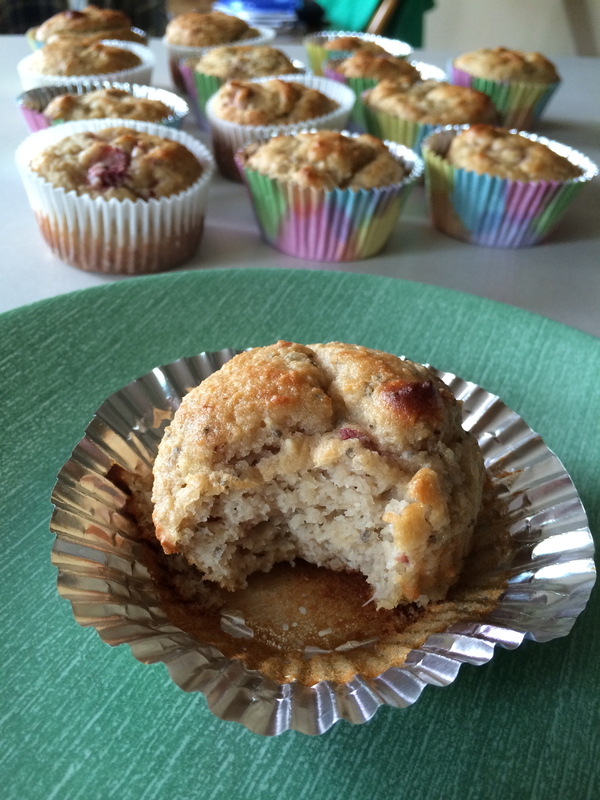 I wanted to make paleo banana protein muffins, but realized that I only have strawberry protein. 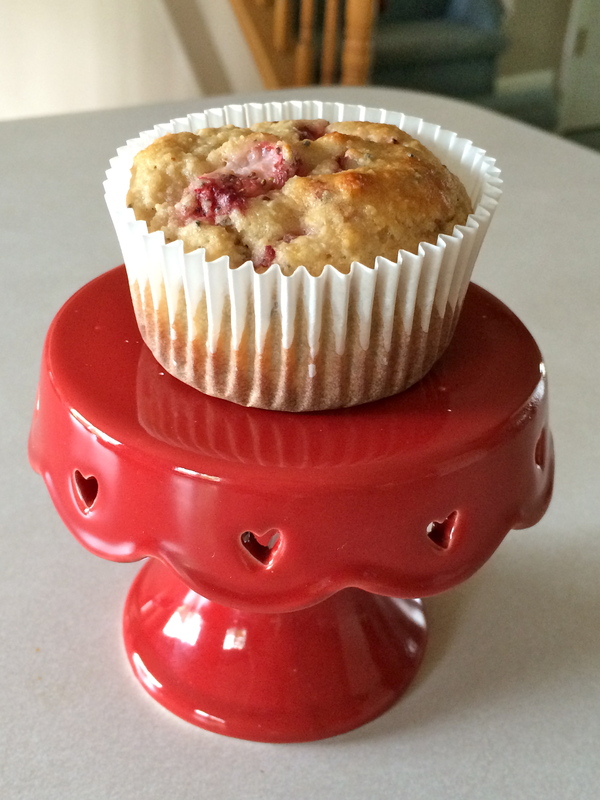 So, I just added some real strawberries in there too and they turned into strawberry banana protein muffins and they are DELICIOUS! 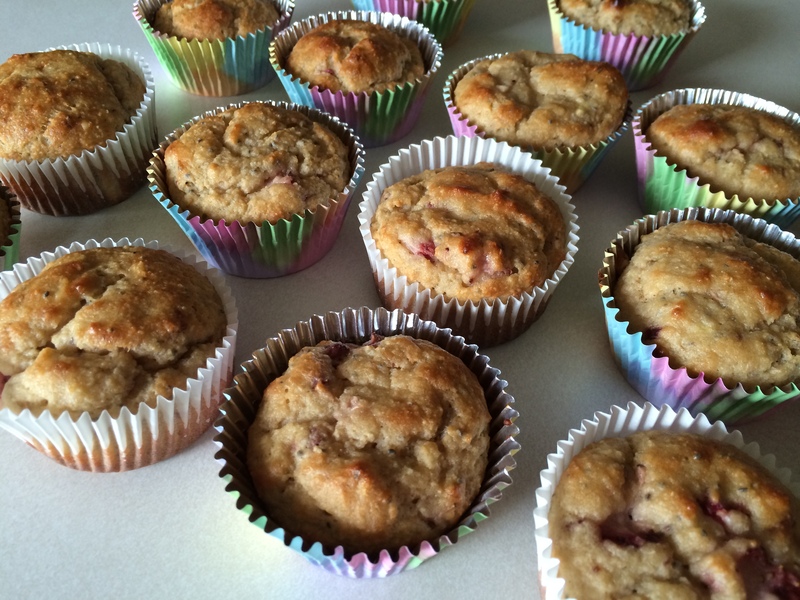 This recipe made 14 muffins. Each 134 calories. 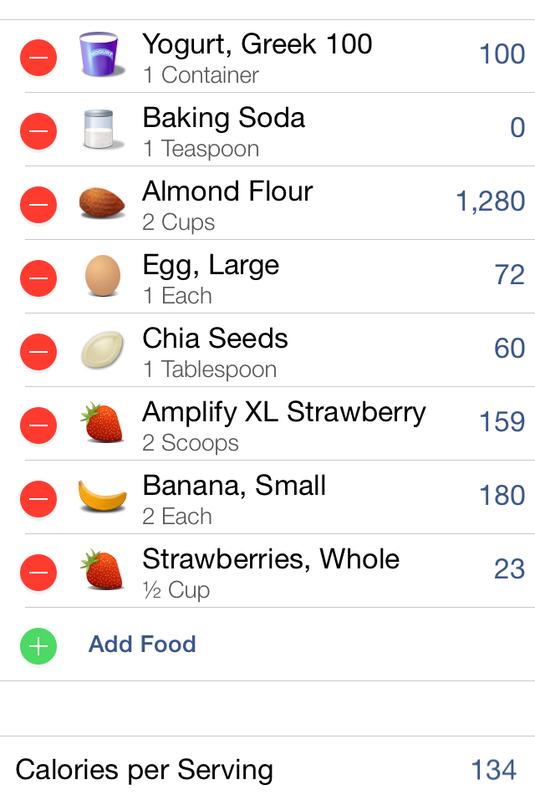 I got these percentages from scanning each food item into the recipe section on the App, Lose It! It is a exercise/calorie tracker, but it is the best thing ever. SO FUN too. It saves everything and gives me the macros, calories, etc. of everything I eat daily. Highly recommend it. They took about 18 minutes to bake at 350 degrees.